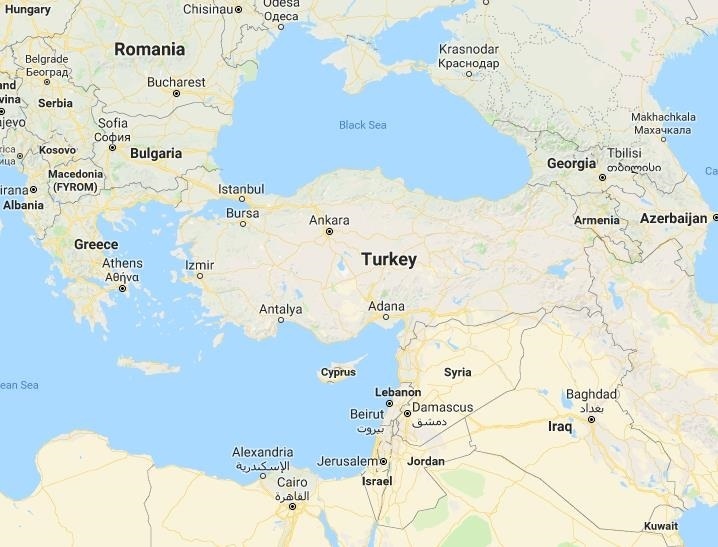 September 2018: Is the Turkish Flu Contagious? If you’re puzzled, allow me to summarize the issue. Turkey is undergoing what many are calling an economic collapse of its own making. The annual inflation rate is spiking over 16% ¹ and in less than a month, the Turkish lira lost over a third of its value relative to the US dollar. Source: Graph created by Google. Google cannot guarantee the accuracy of the exchange rates displayed. You should confirm current rates before making any transactions that could be affected by changes in the exchange rates. How has Turkey reached this terrible tipping point? To make a long story short, to force economic growth, Turkish President Recep Tayyip Erdoğan has spent billions of borrowed dollars through infrastructure spending and making special deals with Turkish corporations. What’s important is that at Turkey now owes about 53%² of its Gross Domestic Product (GDP) in foreign currencies. Worse still, the country’s foreign-currency reserves only cover about 75% of upcoming debt payments. Is there a solution? There are a few. Turkey could either hike interest rates substantially or get financing from the International Monetary Fund (IMF) in return for some promises of reform. Hiking interest rates is a long shot; unlike the U.S., which has a highly regulated central bank, Erdoğan has full control of Turkey’s monetary policy. He also believes that higher interest rates lead to high inflation, an erroneous idea that is turning out to have dire consequences for Turkey. Financing appears to be the only viable solution, but the IMF will likely require Turkey to meet their strict measures. Of course, there is an option to let the country implode, which begs this question: would a complete default of Turkey’s debt be contagious to the rest of the global economy? Stop everything you’re doing! Watch “Dramatic Chipmunk” on YouTube³ and then come right back. I’ll wait. The opinion of most economists is that Turkey’s financial problems won’t affect the broad global market. But they could have negative ramifications for other emerging markets and, to a lesser extent, those European banks that have lent money to Turkey. While such a default would be more than a rounding error for those banks, it wouldn’t put them out of business. Turkey’s current situation is different from the Greek debt crisis back in 2012. Greece is a member of the Eurozone and its currency is denominated in euros. Because of that, their woes became a problem for the entire Eurozone. By contrast, Turkey is not a member of the European Union or the Eurozone. Turkey has its own currency and for the most part, an isolated economy. This insolation helps prevent its debt crisis from spreading to other countries. This Turkish crisis may, in fact, create opportunities in the emerging market space once nervous investors exhaust their selling. Other than that, we don’t expect the overall U.S. or global economies to be impacted. I wouldn't put a turkey in my dishwasher, but let me know if you try that! And if you have any questions regarding your accounts, please call your financial advisor. We’re here for you! All information provided has been prepared from sources believed to be reliable, but is not guaranteed by Cetera Advisor Networks and/or McDaniel Knutson and is not a complete summary or statement of all available data necessary for making an investment decision. All information provided is for informational purposes only and does not constitute a recommendation.